You could have seen this comic a day earlier on Patreon! Come help support the site! You get to see extra stuff too like giraffe drawings and you could even be part of the comic like Suzi and Matt! Anyway, people have for years made all sorts of house rules for Monopoly just to make it interesting. There are so many movie editions and re-skins of Monopoly too. Any fandom can stroll into a Bookstore and pick out a couple of Pop Figures and pair it with a Monopoly board now. 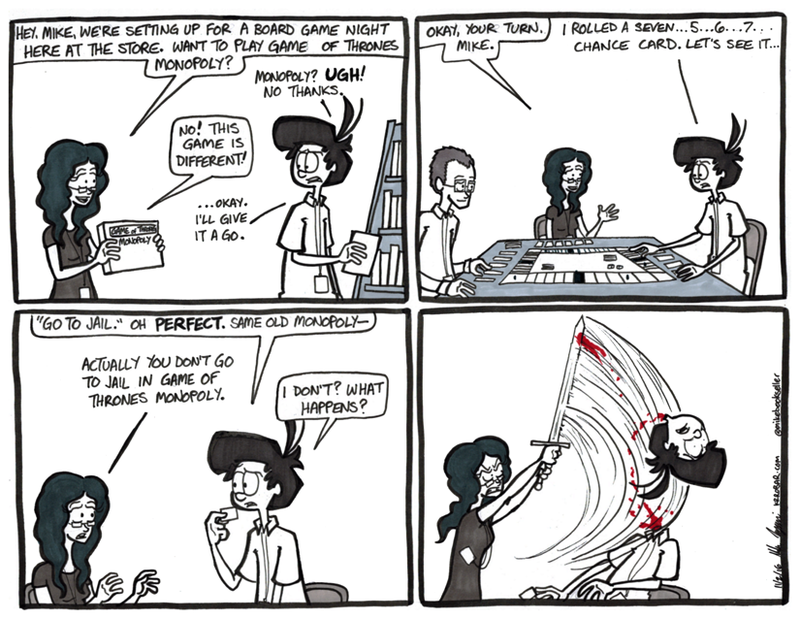 A house rule for beheading people instead of sending them to jail would make Monopoly extremely interesting.